The GAPCO Fed-Ups Bundler is the state-of-the-art version of our conventional semiautomatic strapping workhorse. 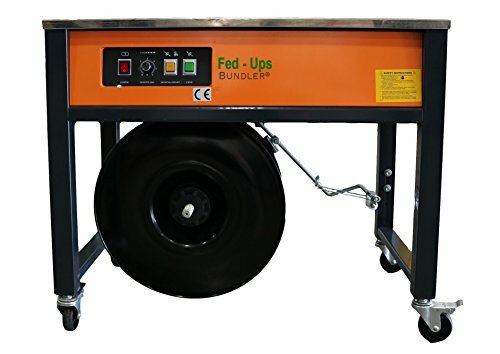 Featuring the latest technology for ease of operation, dependability and trouble free performance, the GAPCO Fed-Ups Bundler is the ideal tool for strapping countless products. The GAPCO Fed-Ups Bundler semiautomatic strapping machine feeds, tensions, seals, and cuts Polypropylene strap for a variety of low to medium duty applications such as strapping bundles, boxes, small to medium objects, and wound products. We recommend running 1/2" x .024 size strapping. If you have any questions about this product by GAPCO, contact us by completing and submitting the form below. If you are looking for a specif part number, please include it with your message.